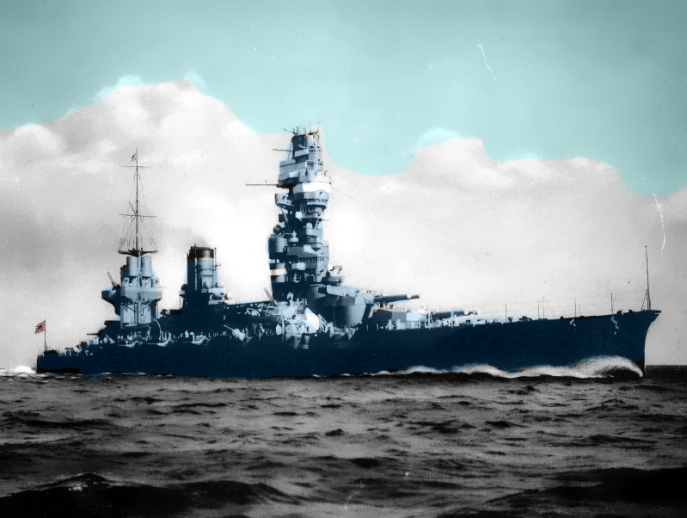 The Fusō-class battleships (扶桑型戦艦 Fusō-gata senkan) were a dreadnought battleships-class built for the Imperial Japanese Navy (IJN). The construction started during World War I and were assigned patrolling tasks briefly off the coast of China. 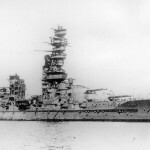 Both ships were subjected to upgrades, modernizations and reconstructions during 1930s. 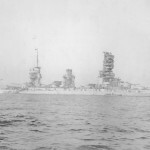 While Fusō had its improvements in two phases (1930–33, 1937–41), Yamashiro was partially reconstructed during 5 years, from 1930 to 1935. As a result significant improvements in their armor and machinery were reported. 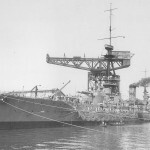 These works also led to the characteristic and unique pagoda style of the superstructure which allowed them a high range of detection without using radar, not available at that time. 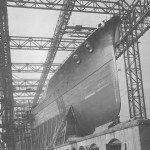 Although the upgrades were notable, they were not considered first-line battleships when the WWII started. They only actively participated in combat missions in the late of 1944. Fusō served as a troop transport in 1943, while Yamashiro was performing training duty in the Inland Sea. Newly upgrades related to their anti-aircraft suite in 1944 were done before transferring to Singapore in August 1944. 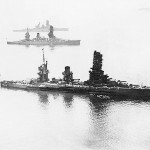 Fusō and Yamashiro were the only two Japanese battleships at the Battle of Surigao Strait, the southernmost action of the Battle of Leyte Gulf. 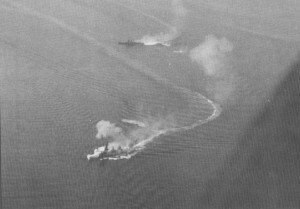 As a result of the battle both were lost on 25 October 1944 to torpedoes and naval gunfire. 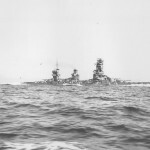 It was reported that Fusō broke in half, and that both halves remained afloat and burning for an hour. Anthony Tully, in contrast, suggests that Fuso sank after forty minutes of flooding. An unbalanced battle was waiting for Yamashiro. 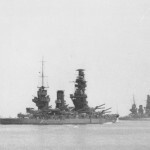 Six battleships and eight cruisers were facing the Japanese Battleship Yamashiro. In spite of a brave performance in battle, Yamashiro did not survive the battle. Vice-Admiral Shōji Nishimura went down with his ship. Sadly, only a total of twenty crewmembers (10 from each ship) survived the battle. 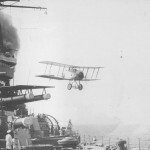 A curious photography of a Gloster Sparrowhawk aircraft being launched by catapult from the Imperial Japanese Navy battlecruiser Yamashiro off Yokosuka, Japan., 22 March 1922. Imperial Japanese Navy battlecruiser Yamashiro’s crew tests the ship’s torpedo defense net at Yokosuka, Japan, 9 May, 1917. Imperial Japanese Navy battleship Yamashiro (foreground) and aircraft carrier Kaga (background) in Kobe Bay, Japan 22-23 October 1930, prior to a fleet review. The source does not idenfity the carrier in the background but it appears to be Kaga because of the long, horizontal funnel which was unique to that ship. 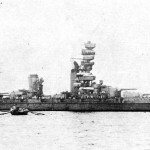 Yamashiro Battleship, in Tokyo Bay, Japan, after 1935. 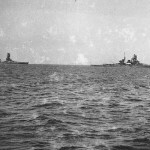 Behind her are the battleships Fuso and Haruna (most distant). Faintly visible in the right distance are two cruisers and an aircraft carrier. 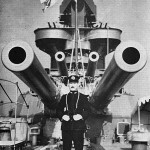 Japanese Vice-Admiral Sankichi Takahashi (1882-1966) in front of the Rear 14-inch gun turrets of the Battleship Yamashiro. This picture seems to have been taken near Circa, Korea. 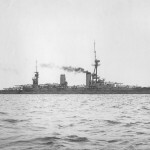 in the late 1935. It shows that Battleships Yamashiro and Haruna. 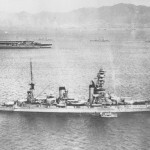 A shot of the in Battleship Yamashiro, near Circa, Korea, in the 1930s. 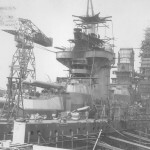 The Yamashiro battleship during its construction in the No. 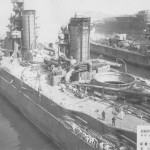 2 dock at Yokosuka, Japan, 20 Oct 1915. 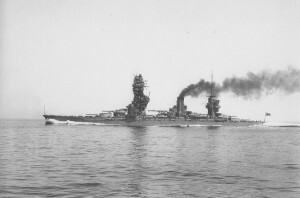 The picture shows the Yamashiro battleship performing speed trials off near Tateyama, Japan, 24 Dec 1934.